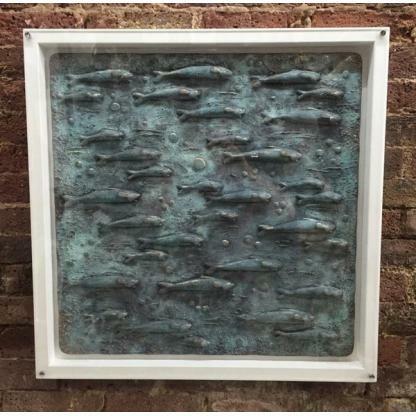 Original wall art plaque by Daniel Laurence. 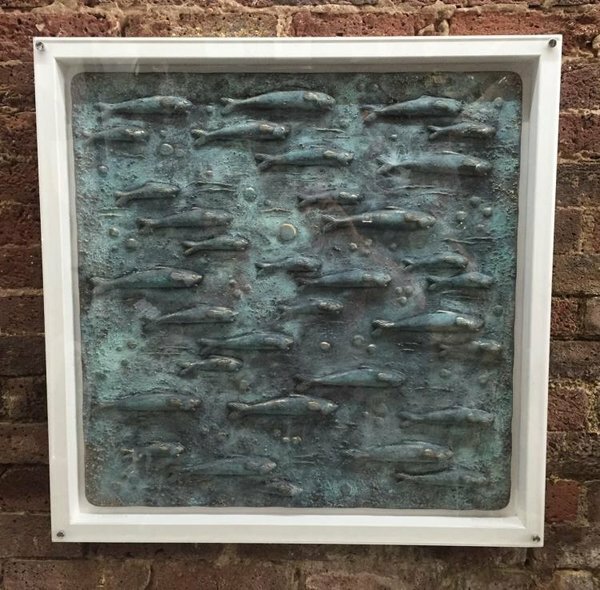 A graceful shoal of hand crafted fish swimming amongst the bubbles are captured in this oxidised verdigris wall panel, with the highlights shown in buffed bronze. Set within a stylish wooden frame and displayed behind a thick slab of presentation glass.